On our first Thanksgiving together, Larry brought home a twenty-five pound turkey from work. 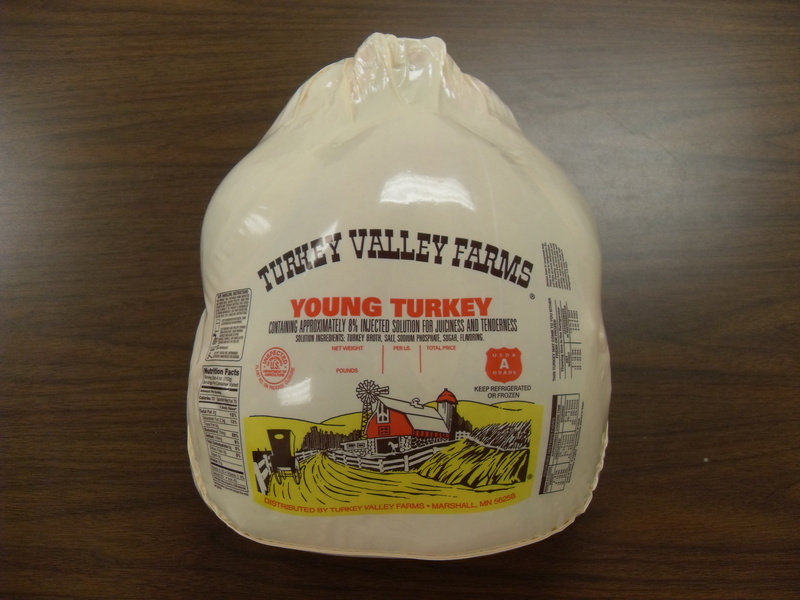 The Lynchburg Gas Company gave all their employees a turkey for Thanksgiving and we were duly thankful for it – all twenty-five pounds of it. The problem was, of course, what we were going to do with it. Back then we were two relatively skinny people with a tiny new puppy named Brandy, and the three of us together simply could not eat that much turkey if we ate it on sandwiches and in casseroles from this Thanksgiving until the onset of Apocalypse. So stuck we were with a very large turkey. I would have frozen it, but our freezer was too small. I would have cooked it and then frozen it, but our freezer was still too small. In fact, my tiny apartment refrigerator was almost too small a space for it to rest. A twenty-five turkey is a massive and daunting beast. Larry had an idea to invite people over for Thanksgiving who had no place to go. We were still in college and we couldn’t get off work to go home for the holiday, and certainly there were plenty of others like us, a bit lonely and slightly homesick for dressing and turkey – and lots of it. I’ll go to the dorms and shout out for anyone who needs a place to go for Thanksgiving dinner, he said. I’ll ask all the people at work who are lonely to come, he said. If I see any homeless folk around, I’ll tell them to come, he said. OK, I said. But we are poor. How will we pay for all of this food? And, you know I’ve never cooked a turkey before, right? I asked, a bit worried already. It’ll work out, he said. And out he went to invite the Lynchburg lonely to Thanksgiving dinner at our small duplex apartment. All 600 square feet of it. The day before Thanksgiving I asked him if he knew how many people might be coming the next day. There’s no way to know, he said. How will I know how much food to prepare? And how will we pay for it? I said. I told people to bring whatever they could. We will provide the turkey and dressing, he said. There will be plenty of turkey. We awoke to frost on our first Virginia Thanksgiving morning. Larry had to work the 7-to-3 shift at the gas company, so I spent the morning at home alone with the turkey. 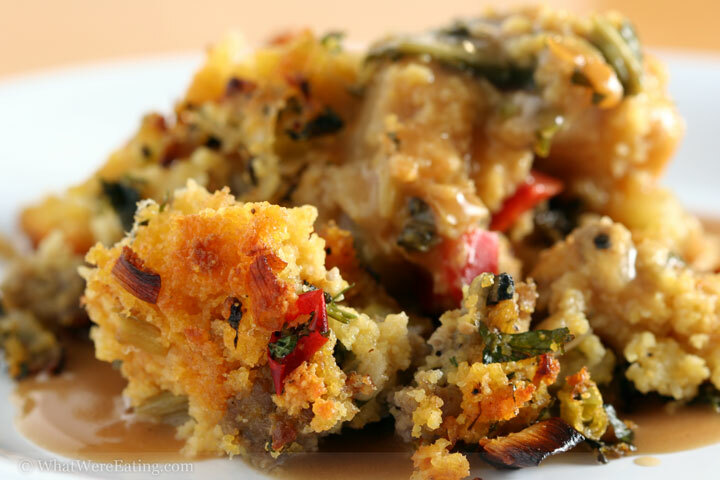 Making the dressing was a snap – my mother’s cornbread dressing is the best there is, and she had given me the clear and detailed instructions passed down to her from her mother. For Southern folk, cornbread dressing is a very big deal. The turkey was another story. My parents always roast their turkey in a browning bag, the very best method, in my humble opinion. Mother had given me instructions for this as well. 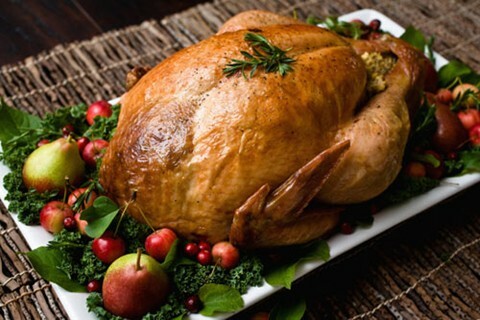 I was to slather butter all over the outside of the bird, lift and place him into the browning bag, and then stuff the tail-end full of onions and apples and celery. 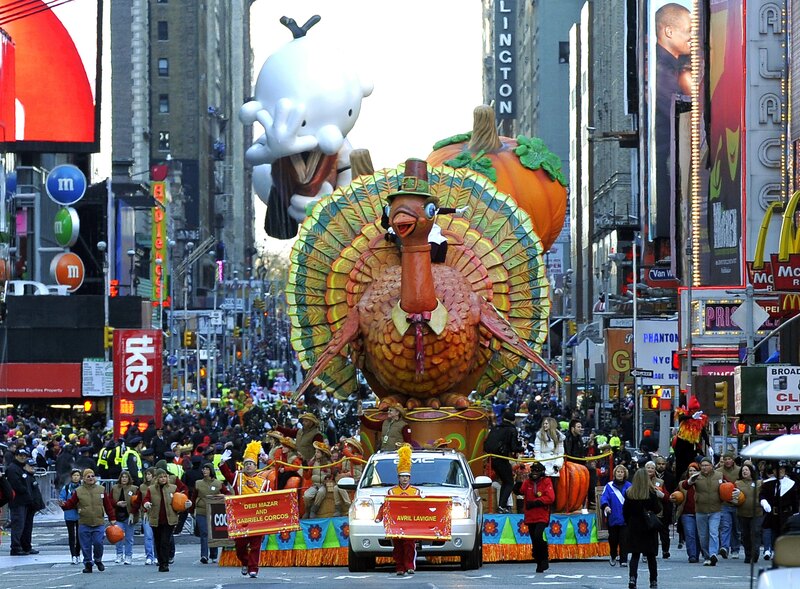 I turned the Thanksgiving Day Parade on in the other room and went to fetch the butter. Surely preparing a Thanksgiving turkey would be a piece of cake, right? Hmmmm. First of all, this turkey was a little stubborn, refusing to part from his packaging with ease, the wrapping getting hung up rather grandly on his hind quarters and feet for a few tense minutes, (wait, does a turkey have feet? ), but it was nothing unmanageable. I wished for a minute that Larry was there to help me, a couple of extra hands never hurt anyone, especially me – you might not know this about me, but I have a little three-fingered affair on my left hand, so my strong and fully-functioning right hand can sometimes use a little help around the kitchen with projects that require lifting and grabbing. But alas, I’m no weakling. I’m bigger than this turkey and I’ve certainly faced more formidable foes. I’ve got this ~ packaging be damned. The turkey was sitting on the counter top, the maw of the browning bag open wide, ready for the turkey’s grand entrance. I had remembered to set the butter out to soften, so I took a mighty handful and slapped the turkey confidently on his back and began to slather with gusto, starting at his front end and gliding toward his rear with some relative speed. Now, in every good story there is a moment of tension and empirical angst, a point of no return. One last great cry of protest shouted to the universe before succumbing to the inevitable over which one has no control. Little did I know, but this was the turkey’s moment of existential revolt, his last stand. Shout he could not, but squirm he still could. As my buttery hands reached the turkey’s impressive shanks, I must have grasped his legs overly hard with my eight oily digits, for he began to move. Yes, the turkey started sliding – down the short runway of my cheap Formica countertops toward the dark abyss of my unswept linoleum floor. The more I grabbed at him in panic, the more momentum he gained. I ran to the end of the counter with my butter-hands held chest high, trying to head him off at the pass, if you will, but alas, it was too late. He slid with great poise right off the my kitchen counter and sailed rather elegantly onto the dog bowl, kibbles and water creating a glorious sort of splashdown effect as he landed and slid just a bit more, finally resting at the threshold of our small den amid soft cheers from the folk at the Thanksgiving Day Parade. 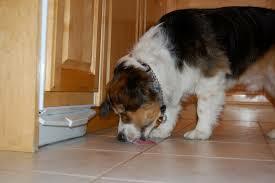 Our little dog Brandy began to lick great globs of butter from the floor. If the Internet had existed then, I could have Googled How to get a buttery twenty-five-pound turkey off the floor with only one hand. But there was no Internet back in the olden days, so I was left to my own devices and this situation: I didn’t know who or even how many people would be coming for dinner. I didn’t even know for sure if any of them would bring any food. So since the potential existed that turkey and dressing was all there would be for this meal, I had to get this turkey off the floor and into the oven. Pronto. I quick-assessed the damage. The turkey lay languid on the floor, tail-end open toward me. Have you ever looked up a large turkey’s tail-end? It’s rather big, cavernous, with plenty of room in which to stuff things. Like apples and onions and celery. When there’s nothing left to do, one does what one must. I made a firm fist with my strong right hand and stuffed it hard up that turkey’s tail-end, lifting with all my might. Surely lifting a big, buttery, twenty-five pound turkey the long four feet from the floor to the counter top with one arm shoved up his keister can be considered a true Herculean feat. I challenge you gym folk to give it a try. Whew. He required a bit of cleaning before he made it to his final resting place – no one likes a crunchy turkey. An undisclosed number of kibbles, some floor fuzz, and a Cheerio or two later, he was presentable enough to try again. Slowly into the browning bag he went, both of us exhausted from our epic struggle. Man versus beast has never had more meaning for me. Some time in the midst of it all, Larry called. How’s it going? he asked. Great, I replied. Turkey’s in the oven – all’s right with the world. Fourteen people showed up late that afternoon – we knew none of them. Two college guys came to the door with one bag of Doritos and a pint of onion dip. One girl brought a Coke. The motorcycle-gang guy from across the street came and brought his girlfriend and a loaf of day-old bread from the Wonder thrift store down the block. A pumpkin pie appeared. The rest of the folk had no food to add to the celebration – maybe they just forgot. So we sixteen pilgrims sat on the floor and the few chairs of our tiny Lynchburg duplex with paper plates full and gave thanks for many things, new friends at the top of the list. We ate turkey and dressing, Doritos and onion dip. I had plenty of butter for the day-old bread, and we even had dessert – did you know that one pumpkin pie can indeed feed sixteen mouths? For little becomes much when it is blessed with the miracle of giving thanks. I found a kibble in a bite of my turkey. I feel quite sure that others did as well, but no one said anything.